To PLAY means to engage in activity for enjoyment and recreation rather than a serious or practical purpose. In the latest, The Collaborative room reveal we got to do just that, PLAY. 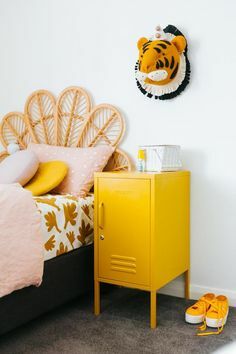 We wanted to create an area with bold colours and a serious accent on FUN! We wanted to create an accent wall to create a focal point with the teepee, and I love how corners disappear when you paint them dark. How cute is the teepee bunting that we draped over the grey teepee! Another accent that we created was with the alphabet cards that was hung on the wall with wooden pegs on a string. 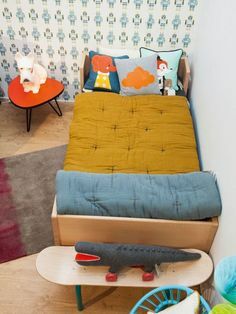 We just love adding quirky items to a space. 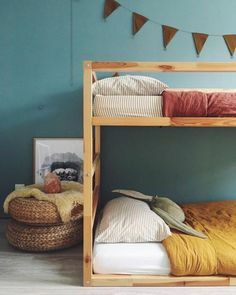 I really adore the colours used in this room, it is one of my current colour crushes and extremely trendy. This room design can be easily adapted for a bedroom or another area in a house. Ever wondered what to do with all the beautiful artwork your child brings from school, I have boxes full and my kids are only 6 and 3. Bumble Box has made it easier for us with the art books. They send a box, you fill it and you get a beautiful book returned to you with all their gorgeous artwork. No more guilt about throwing it away! See their details bellow.